Strongbow Exploration CEO Richard Williams discusses the changing landscape for mining in the UK and the work being done at the South Crofty tin project. Strongbow Exploration CEO (TSXV:SBW) Richard Williams feels that his company is in a strategic position as it develops its South Crofty tin project while the tin market enters a projected period of supply deficit. In the interview below, Williams describes the work being done on the fully permitted UK-based project, and the strategic relationship the company has with Osisko Gold Royalties (TSX:OR,NYSE:OR). Williams also highlights the “cast of all stars” on Strongbow’s board of directors, which includes mining industry specialists with well-known discoveries under their belts. Below is a transcript of our interview with Strongbow Exploration CEO Richard Williams. It has been edited for clarity and brevity. Investing News Network: Please give our investor audience an overview of Strongbow Exploration and its flagship South Crofty tin project in Cornwall, UK. Strongbow Exploration CEO Richard Williams: Strongbow was restructured in 2015 and is now a member of the Osisko group. Osisko Gold Royalties is also our largest shareholder, owning 31 percent of the company. Within the group, our mandate is to source and acquire high-quality strategic metal deposits in good jurisdictions. To that effect, Strongbow acquired the South Crofty tin project in Cornwall, UK last year. 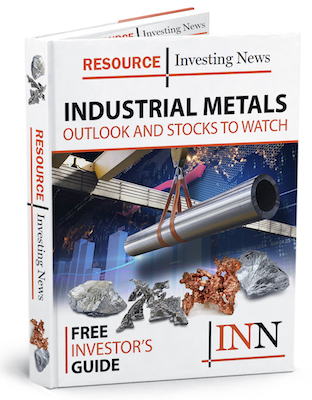 INN: What, in your opinion, should investors know about the tin-mining industry? RW: In recent years there has been a decline in the tin stocks available in the market. This has happened in part because the US used to keep a strategic tin stockpile that has been sold off over the last 30 years following the collapse of tin prices in 1985. Tin production in the most notable manufacturing countries, like Peru, China, Malaysia and Indonesia, has declined in the last few years, resulting in a 50-percent growth in the price of tin in 2016, with prices reaching $10 a pound at the end of last year. The market is also entering a period of projected deficit over the next four to five years. All of this puts Strongbow in an excellent position. INN: How does the UK compare to other mining jurisdictions in the world? RW: The UK’s central and local governments have shown a significant change in mindset with regards to new mining opportunities. In 2014 or 2015, the country saw the build of its first new metals mine in 45 years: the Drakelands tungsten mine in Devon. Additionally, Sirius Minerals (LSE:SXX) is developing a polyhalite project in North York, and that’s one of the biggest new development projects in Europe, let alone the UK. That project is now fully permitted and Sirius has raised a billion dollars to commence the first phase of the project. The level of support that we’ve seen from both the central and local governments suggests that the UK is currently a very attractive place in which to invest. INN: Would you like to highlight any results from your recently published preliminary economic assessment (PEA)? RW: South Crofty is a mine that has operated for over 400 years; its earliest documented production was in 1592. Our recently published PEA outlines an initial eight-year mine life, but due to its history, it’s fair to say that South Crofty has the potential to be a long-life mine. That is an attractive feature for Osisko Gold Royalties, which recently purchased a royalty on the property. The pre-production capital cost for the initial eight-year mine life is estimated to be US$118 million with a NPV of US$130 million. INN: What does the recent water discharge permit mean for the project? RW: When we acquired the project in 2016, the project was already equipped with a mining license valid until 2071. At this point, we also have planning permission to build a new process plant as well as the land on which to construct it. The water discharge permit was really the last permit we needed to make the project fully permitted. To get it, we conducted a four-month water treatment trial between November and March of this year. We successfully met the targets set by the UK Environment Agency, and that led to us being granted the discharge permit in the last month. INN: What is next for the South Crofty project? RW: The next step for us is to clear the flooded mine, which is why we needed the discharge permit. We recently announced a deal with Osisko to sell a 1.5-percent NSR royalty for just over C$7 million. The proceeds from that sale will fund the construction of the water treatment plant, for which we have begun the engineering, design and procurement processes. We expect to have the plant built and commissioned by the end of next year’s third quarter. INN: Are there any executives you would like to highlight on your board and management team? RW: You only have to take a look at our board of directors to see that it’s a cast of all stars. Grenville Thomas is our founder and an inductee in the Canadian Mining Hall of Fame. He was instrumental in the discovery of the Diavik diamond mine. John Burzynski is one of the Osisko founders and he represents them on the board. He was part of the team that built the Malartic gold mine in Quebec, which Osisko subsequently sold for $4 billion. Patrick Anderson was one of the founders of Aurelian Resources, which discovered the Fruta del Norte project in Ecuador. He currently runs Dalradian Resources (TSX:DNA;AIM:DALR) and is advancing the Curraghinalt project in Northern Ireland to production. Among those three men alone there’s a demonstrated track record of success and return to shareholders which is replicated across the rest of our team.